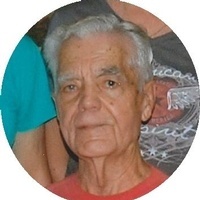 Gerald E. Moran, age 92, of Dalton, Georgia, departed this life Monday afternoon, October 8, 2018. He was born July 29, 1926 in Bonfield, Ill., a son of the late Thomas and Mable Kirchner Moran. He was also preceded in death by his brothers, Raymond, Robert, Billy Joe, and Frances Moran; and sisters, Rose Mary Fisher, Marilyn Theesfeld, and Mable Clark. He proudly served in the United States Navy from May 4, 1944 until July 26, 1947. He was a member of the American Legion Post 112 in Dalton and American Legion Post 842 in St. Anne, Ill. He was a member of the St. Joseph’s Catholic Church and a Fourth Degree Knights of Columbus. He is survived by his loving wife of 72 years, Roma Lee Moran; sons and daughters-in-law, Gerald B. and Jody Moran of Loganville, Ga., Daniel R. and Doreen Moran of Chapel Hill, N.C., Stephen G. and Catrina Moran of Arlington, Va.; daughters and son-in-law, Sharon B. Abhalter of Hilton Head Island, SC, Susan E. and Lane Hill of Covington, Ga.; sister, Barbara Theesfeld of St. Anne, Ill.; 13 grandchildren, 14 great-grandchildren, and nieces and nephews. Rosary service will be held Friday, Oct. 12, at 7 p.m. at Ponders Melrose Chapel followed by Military Honors by the American Legion Post 112. The family will receive friends at the funeral home from 4-7 p.m. on Friday. Honor Guard will be provided by The Knights of Columbus. Ponders Melrose Chapel is in charge of arrangements, Dalton, GA. (706) 226-4002.